The results of the G.C.E. 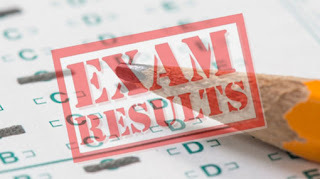 Ordinary Level Examination will be released this evening (28), says the Commissioner General of Examinations B. Sanath Pujitha. Accordingly, the candidates will be able to obtain the results from the official website of the Examinations Department: www.doenets.lk. The results of the Grade 5 Scholarship Examination will be released on October 5th, and Advanced Level Examination results are to be released on December 25th, the Commissioner General added. The 2018 O/L examination was held from December 03rd to 12th at 4,661 exam centres island-wide while 656,641 candidates sat for the exam last year. Phase one of the paper-marking was carried out from December 23th to January 01st, 2019 at 84 schools selected as paper marking centres. The second phase commenced on January 08th and continued until January 17th.